Does using social media for your business bring you out in a sweat? Concerned you (or your employees) will say the wrong thing? Too busy to divert attention to the internet all day? It’s ok, you’re not alone. In my time both employed and freelance I have come across many people who have these fears and more. In fact I was recently asked to speak on the subject at an event for the motor industry; the request was to talk about why businesses should be embracing it. The points I made are just as valid for any industry, though, so I thought I’d share them with you in the hope of allaying some of your fears and instilling some confidence to press on with it. I’m not going to lie, it does take time. But there are numerous web-based platforms that are free or cheap ($59/month for Sprout Social’s professional service) and can help you monitor what people are saying a) in your area, b) about your chosen keywords and c) about you that you will find it easier than you thought to keep on top of it. With platforms like HootSuite or Sprout Social you can also schedule tweets, posts and the like too so you don’t have to be doing it ‘live’ daily. Just allocate some time every week to setting up your tweets and the platforms do the rest. You can also get mobile versions of these platforms so you can get notifications while you’re on the move or over the weekend. That way you can quickly respond and show a) you’re listening and b) you’re a real person. There is plenty of help out there, this blog is a good place to start! I help people every week with their social activity, training them and handling it for them. There are also lots of good books, webinars and local events about this hot topic. Five years ago, I didn’t know much about how to use social media for good business effect (I was a dab hand it using for myself) but I found that it is mostly common sense. You don’t have to be on all platforms all the time. I advise clients to research where their customers are (survey them, ask them in the shop) and focus on those platforms. And set one up at a time. Get used to it and, only when you feel you have the capacity to add another, add it. For example, if you are B2B (business to business) then I wouldn’t focus on Facebook; instead look more at LinkedIn. If you’re in retail, however, Facebook is probably a good bet. Very visual products work well on Instagram or Pinterest. It just proves you’re human if you do! The main thing is, if you make a mistake or say something inappropriate, apologise, admit your mistake and correct it as soon as possible. Use this rule…would I say it out loud or in person? If not, then don’t say it on social media. And don’t remove bad testimonials or reviews just because they’re bad. Respond to them and try to resolve the issue so you can show other customers how you deal with problems. To use an example, Snickers got it right with a campaign last year that had various celebrities, including Katie Price, tweeting about out of the ordinary topics (economics & politics in the case of our Katie). These teaser tweets were sent out in quick succession and then shortly followed up with a reveal tweet about how you’re not yourself when you’re hungry with the hashtag #spon to show it was sponsored. Yes there were complaints but the Advertising Standards Authority (ASA) upheld the campaign on the basis that the teaser tweets did not mention the brand; the reveal tweet included the #spon hashtag to show that it was paid for advertising; and the reveal tweet was also sent very shortly after the teaser tweets to remove any confusion. 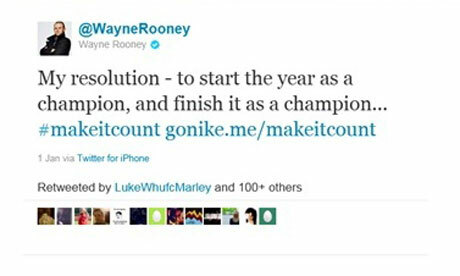 Nike, however, got it wrong and won the accolade of first banned Twitter campaign. Wayne Rooney now famously tweeted: But it was not deemed to be adhering to the law as it didn’t clearly declare itself as a marketing tweet with either #spon, #paid or #ad to show it was advertising. Anyone for User Generated Content? User generated content (UGC) is simply consumer reviews, testimonials, videos, photos etc. added to a website by the consumer and they then get shown to other people interested in buying that product, visiting that place or ‘pinning’ that picture. As a marketer you may want to add testimonials, press quotes and the like to your site but where do you then stand on copyright and accuracy? The issue comes if the content is ‘adopted and incorporated’ into your site, i.e. if you pick n choose which reviews get shown and which don’t. You might also be thinking about pulling content from other sites onto yours but there is one key rule here. Do not cut and paste UGC. Ever. That’s like trying to pass it off as your own. Credit people, don’t edit the content and don’t overlay with your own brand details. If you are thinking of setting up an area on your site for people to post reviews, which you will then use you should create some simple terms & conditions which say something along the lines of ‘by posting on this site you are giving consent for us to use it. Content you post must be your own’. Also define how you will moderate UGC and flag/remove inappropriate content. Check out the BBC’s terms. Other simple things to bear in mind is that law regarding social media is the same as law regarding marketing in general. Don’t lie, have the evidence to back up statements (‘the best’), don’t say anything defamatory about a competitor and don’t pass off someone else’s content as your own. Social doesn’t need to be scary as long as you act lawfully and respectfully. Are you a good blogger? A discussion or informational site published on the World Wide Web and consisting of discrete entries (“posts”) typically displayed in reverse chronological order (the most recent post appears first). Many blogs provide commentary on a particular subject; others function as more personal online diaries; others function more as online brand advertising of a particular individual or company. A typical blog combines text, images, and links to other blogs, web pages and other media related to its topic. The ability of readers to leave comments in an interactive format is an important contribution to the popularity of many blogs. So how can writing a blog help your business? If you’re business to consumer (B2C) then your blog can encourage your customers to interact with you. It can also help establish you as a thought leader in your area of expertise, for example if your business is an estate agency your blog could include entries about legislative changes and what they really mean for people trying to move home; tips on how to move home smoothly; and home improvements that genuinely add value to a property. Blogs are great because they don’t cost you anything other than time. Okay, time is precious these days, but this is one form of marketing that really doesn’t cost you any money. In fact, some bloggers make money from their blogs! Write a list of all the subject areas that are of interest to a) you and b) your reader – think about things from your customers’ point of view. Try and put these into a schedule in line with your decided frequency of posting and voila you have a plan! Practices blogging best practice/etiquette. Accept mistakes and own up to them, don’t copy/paste complete blog entries and articles in to your own blogs (that’s stealing), among other things. Pretty much every business these days has a website, which is excellent. It’s your shop window to the world. But how are people going to find you? You don’t just open up a shop, sit back and wait for people to walk through the door. You do everything you can to make sure customers know you’re there, what you do and how to find you. Well, search engine marketing is exactly that but just online. Here’s a quick guide to search engine marketing and things you need to think about to get your website spotted. First things first…Google is not the only search engine but it is by far the biggest so I’d suggest focusing on that to start. Yahoo and Bing are the other two to think about at a later stage. I’ll cover paid search in my next blog but for now let’s look at SEO. If you haven’t yet got a Google Analytics account get one. It’s free and easy to do and will tell you exactly where people are coming to your site from. You will also be able to measure how successful your SEO and paid search (if you do it) are. I always advise people to measure what they do so they can if it works or not. Google trends – once you have identified a number of words you can use Google Trends to see how popular your identified keywords are. It tells you how many people have searched for this word/phrase over time. This will help you hone your list a bit more. Google keyword planner – you need a Google AdWords (paid search) account for this but you can set one up and don’t have to commit to spending any money to use the tool. This will tell you how much you can expect to pay in AdWords with this keyword, i.e. 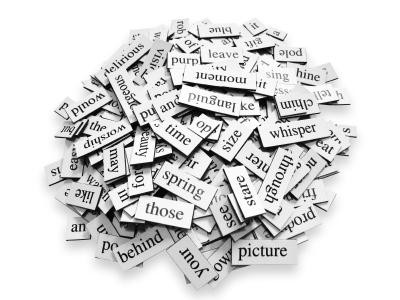 which words are most popular. So now you should have a good list of keywords that represent your business and reflect the terms people are likely to use to find you. Links – a few years ago it was all the rage to get lots of links to improve your SEO. But Google now will penalise you if you just go out and get anybody and everybody to link to your site. You want to focus on getting good quality, relevant reciprocal links. And don’t ever use a ‘link farm’. Your website structure – if your website is hard to navigate then how do you think customers or crawl bots are going to navigate it? Bear this in mind when adding pages and make sure the structure is logical and clear. That’s probably made your head hurt. SEO does that. But it is worthwhile I promise. Measure your site visits before you start and then see how every change affects things. Digital (online) marketing and social media do take time; this is the problem for many businesses but there are some excellent tools out there to make it a bit easier and also some quick wins you can do to increase your business exposure to customers. So here’s a few digital marketer secrets! You can also see what pages people are looking at, how long they stay, whether they’re on mobile, tablet or desktop. And all this can inform the rest of your marketing/digital strategy. What was called Google Places has been rebranded as Google My Business. You know when you search for something on Google and businesses in the area are shown on a map in your search results? That’s Google My Business. Sign up (it’s free) and you have an instant online sign post! 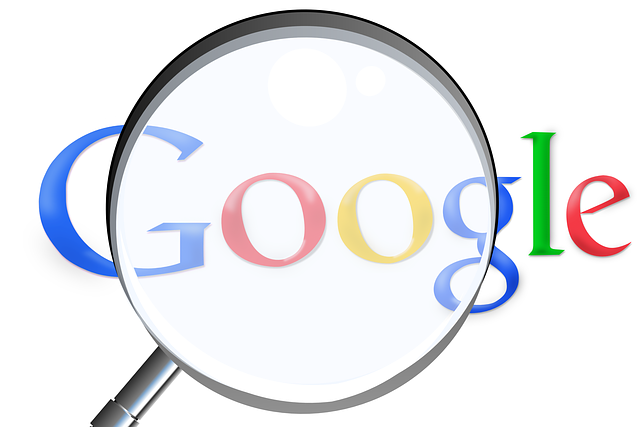 There are two elements to search engine (Google, Yahoo, Bing etc.) marketing – search engine optimisation (getting your site on page one of the main area of search results), and paid search (the adverts that appear at the top and on the right in Google). Google AdWords is Google’s paid search facility (Yahoo and Bing both have their own also). You can spend as little or as much as you want – that’s the beauty for small businesses. You set the budget! 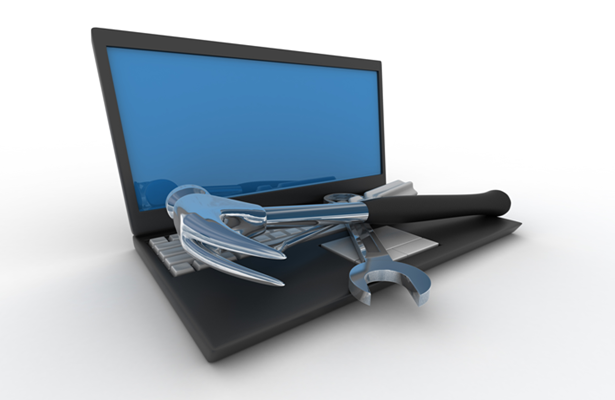 You may also hear this called Pay Per Click (PPC) – it’s the same thing. The other good thing is that you can connect your AdWords to your Analytics account and see what keywords are most effective at driving customers to your site. If you do any online advertising (AdWords aside) you should be making sure the URL that accompanies the adverts can be tracked by Google Analytics – that way you can see how successful the advert is at driving traffic to your website and whether you should continue doing it, do less or do more. This cool tool creates the unique URL for you. Struggling to manage your various social media accounts? Hootsuite is one of a number of social media management platforms that can help. You can create dashboards for each platform (Twitter, Facebook, LinkedIn, WordPress etc.) and set up ‘streams’ for all the things you want to see for each of those platforms. For example new followers, mentions, comments, replies, mentions of keywords. You can also schedule tweets so you don’t have to always be at the computer or on your mobile when you want to send the tweet. Cool huh. If you ‘do’ social media you want to understand if all the effort is worth it. But how do you measure it? One way is with Klout, which measure your social media influence. You can link various platforms to it and track how your score goes up when people interact with you. It also goes down when you go on holiday without scheduling tweets! Why would you want to know who’d unfollowed you on Twitter? Because it can give you an insight into who is finding you interesting (or not) and help you tailor what you say. If you post something and a load of people instantly unfollow, you know you’ve said something wrong! It can also reveal people who have only followed you to get you to follow them (which is Twitter etiquette). If you keep an eye on this you can unfollow them if they are not appropriate to your business. Are you looking after your customers’ data? Many small businesses think that data protection is really only something they need to worry about when they get larger. I’m afraid it isn’t. If you have a database of customer details, past, prospects or existing, then you need to be aware of your legal requirements around data protection. And when I say ‘database’ that includes a simple Excel spreadsheet. Data protection isn’t as scary as it sounds. If you think about things from the customer’s perspective you’ll be along the right lines. As a customer you want your data looked after and respected don’t you? Well, you’re customers (and the ICO) want the same. 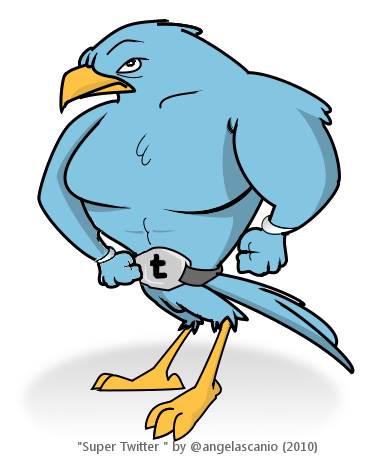 Twitter: your business friend or foe? Twitter, and social media in general, gets many small/medium-sized business owners in a spin. In fact, it gets business owners of all sizes in a spin so you’re not alone if you feel you should be ‘doing’ it but are unsure how to go about it and wary of the negative connotations of social media. You’re right to feel cautious about embarking on using social for business but with some simple advice and guidance it can be very rewarding, improving your relationship with your customers as well as increasing revenue in the long term. Remember it’s about sharing good information – us marketers call it ‘content’ but it’s simply news and information. Don’t just sell, sell, sell. Retweet other people’s tweets that you think your followers will find interesting. Favourite tweets that you find interesting but you don’t necessarily think your followers will want to know. Show that you’re noticing – thank people when they follow you (either in a direct message or openly) and ‘favourite’ posts that you’re mentioned in. It shows you’re listening and appreciative of people’s comments. If the comment is negative address it in a human way – don’t be rude, be efficient and helpful. If necessary ask them to ‘direct message (DM)’ you with their contact details so you can discuss if more depth. There are different kinds of tweet – there are information sharing ones, sales ones, follower growth ones. Use a good mix of all these tweets to keep your followers engaged (interested). There’s much more but if you try and adopt some of these practices to start I’m sure you’ll find your followers grow, you’ll be mentioned and retweeted more and Twitter will definitely become your friend.